What will youth hockey bring out of your kid? Strength. Responsibility. Thrills. Hockey helps boys and girls make big strides. Body Zone Sports and Wellness Complex invites boys and girls to Try Hockey for Free Day on Saturday, February 23, for a free clinic as part of Hockey Week Across America. Starting at 2:30 PM, first time players ages 4 to 9, are encouraged to experience ice hockey and learn the basic skills in a fun, safe environment. Participants do not need any previous skating or hockey experience. A limited amount of equipment is available to borrow. 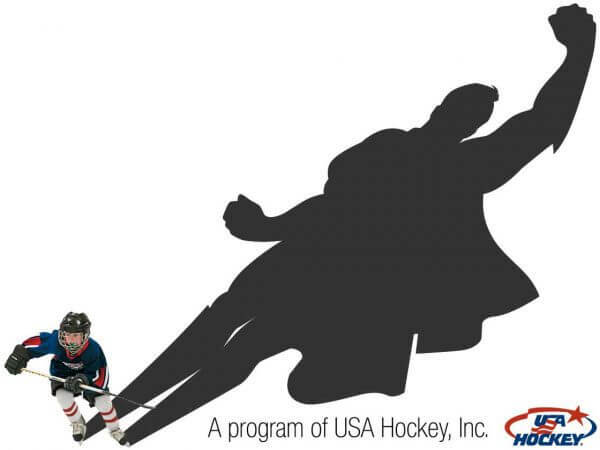 Body Zone’s top coaches, all USA Hockey certified, will provide the instruction. Denike’s hope is that every child experiences a great day of hockey and makes memories that inspires them to want to play more. To accomplish this, he and his coaches will run a version of Body Zone’s Learn to Play Hockey Program. Players will have the opportunity to work in small groups and participate in multiple hockey skill stations. After stations, players will be divided into teams based on age, size and skill level and play cross ice hockey games. Register: The event is currently full. If you would like to receive future hockey program information, click here. No Replies to "Try Hockey for Free Day"